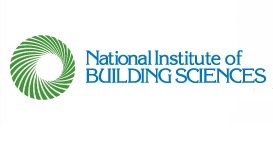 WASHINGTON – (RealEstateRama) — The National Institute of Building Sciences Building Seismic Safety Council (BSSC) will host the third webinar in its 2017 series sponsored by the Federal Emergency Management Agency (FEMA). The free webinar, “Design of Seismic Force-Resisting Systems in Steel-Framed Buildings,” will be held Friday, April 21, 2017, from 2:00 pm to 3:00 pm ET (11:00 am to 12:00 pm PT). The webinar highlights the National Earthquake Hazards Reduction Program (NEHRP) 2015 NEHRP Recommended Seismic Provisions for Buildings and Other Structures, as well as its supporting materials, FEMA P-1051 Design Examples and FEMA P-1052 Training Materials. A member of BSSC’s Provisions Update Committee, Presenter Rafael Sabelli will introduce the design of seismic force-resisting systems in steel-framed buildings intended to complement the design problems in Chapter 9 of the FEMA P-1051 Design Examples. He also will discuss the design of ordinary concentrically braced frames, special concentrically braced frames and special moment frames. Rafael is a Principal and Director of Seismic Design at Walter P Moore. Active in the development of seismic design standards for steel systems, he is a member of the American Institute of Steel Construction (AISC) Seismic Provisions Committee and the American Society of Civil Engineers (ASCE) 7 Seismic Task Committee. He chairs the AISC Seismic Design Manual Committee and serves as project manager for the five-volume Structural Engineers Association of California (SEAOC) Seismic Design Manual. Rafael is co-author of Ductile Design of Steel Structures, and has written extensively on the design and behavior of steel seismic systems. AISC recognized Rafael with a Special Achievement Award and the T.R. Higgins Lectureship Award. Attendees are eligible to earn one Professional Development Hour (PDH) for the webinar. People are encouraged to watch the webinar together as a group or a firm, but all viewers must sign up individually to receive learning unit verifications. Sign up now to attend the free “Design of Seismic Force-Resisting Systems in Steel-Framed Buildings” webinar on April 21. Space is limited, so don’t wait. Register today! Want to see what other topics BSSC has arranged for the 2017 webinar series?